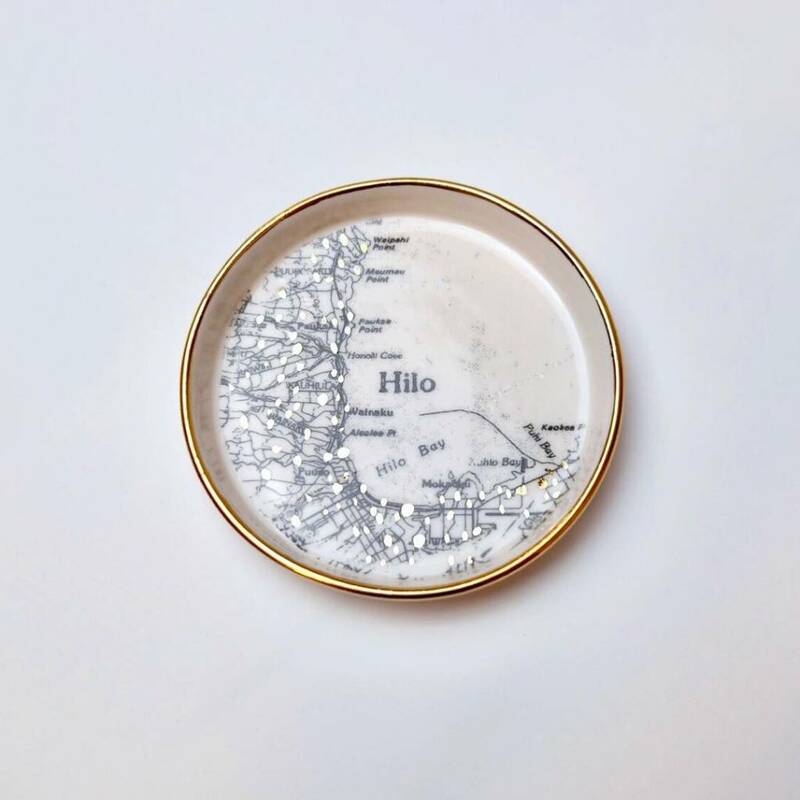 Hilo One, our downtown by the bay. 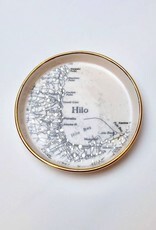 Each handprinted, painted and wheel thrown by artist Malia Landis of Salt and Earth Ceramics. This catch-all dish features our little gem by the bay. Perfect at your bedside to place your keys, earrings and jewels.